Farrar, Straus and Giroux, # 978-037428091, 261 pp. 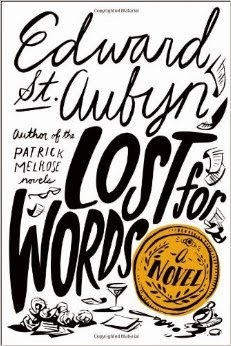 Edward St. Aubyn was once short-listed for the Man Booker Prize, Britain’s version of the Pulitzer Prize for Literature. Don’t look for his name again in the near future—not after his acidly funny thinly veiled take-down of the Man Booker in Lost for Words. His is a whistle-blower’s satire of the award, one that says the prize has less to do with literature than with boardrooms, bedrooms, horse-trading, and horseshit. It’s a work of fiction, but just barely. Former judge A. L. Kennedy called the Man Booker "a pile of crooked nonsense" awarded according to "who knows who, who's sleeping with who[m], who's selling drugs to who[m], who's married to who[m], whose turn it is." A look at past winners certainly gives pause. Amidst the distinguished—V.S. Naipul, Margaret Atwood, Ian McEwan, Nadine Gortimer––one finds an awful lot of one-hit wonders and dross: Arundhati Roy, Anita Brookner, Kiran Desai… And I've yet to meet anyone who thinks that Hilary Mantel's novels are even readable, let alone worthy of winning two Man Bookers. Those who know British culture will have great fun matching the fictional characters vying for and judging the Elysian Prize to the real-life characters that inspired them. For example, one of the Elysian judges is a handsome young actor Tobias Benedict, a dead ringer for 2012 judge Dan Stevens (Matthew Crawley on Downton Abbey). Other elements of Kennedy’s blast are also at play. The Man part of the Man Booker is the investment firm that administers the prize, as is the Elysian Prize corporate sponsor. Both prizes are often headed by politicians, Scottish MP Malcolm Craig in the case of Lost for Words. Other members of Craig's contentious committee include: Benedict; social media guru Jo Cross; Oxbridge scholar Vanessa Shaw; and Penny Feathers, the ex-mistress of both Craig and Sir David Hampshire, whose firm funds the award. Everybody has an agenda. Craig is partial to wot u starin at, a foul-mouthed look at Glasgow’s working-class underbelly; Cross seeks “relevance,” though what she means by that is anyone’s guess; Shaw wants stellar literature, though one suspects she doesn’t think any has been written since the Edwardian age; and Feathers––modeled after Dame Stella Rimington, another Booker apostate—just wants a good read and good luck with that. She’s also hysterically writing an execrable mystery of her own with the aid of software that helps choose words and phrases. As bad as that sounds, she comes close to being the sanest one of the lot! Add to this unruly lot the writers on the short list, those spurned, publishers, and hangers-on. Many of them circle like buzzards around the gorgeous Katherine Burns, a writer of some renown, though it's not clear if it's because she's really all that good, or if it's because she has no qualms with sleeping with whomever she finds useful. At one point she's simultaneously bedding her publisher, Alan Oaks; French rapscallion Didier Leroux; and novelist Sam Black. Oaks loses her affection when one of his aides mistakenly submits an Indian cookbook for the Elysian Prize instead of Burns' novel; and Black loses out to professional jealousy when his The Frozen Torrent makes the shortlist. Leroux claims Katherine, though he's a poor man's Foucault, a pseudo-intellectual happy to expound about all of the major points and many of the minor ones from his postmodern work of theory What is Banality? Poor man—he could answer that question by gazing into a mirror! Here’s the blog post designed to get everyone’s dander up. I can’t help it—it’s December, my least favorite month of the year. It’s cold, the sun sets around 4:20, I’m too damn busy, viruses sprout like mistletoe, and I have to endure holiday music blaring from every speaker in the Western hemisphere. Anything but that! Nothing brings out the Grinch in me like December. The Grinch before he went wrong! Speaking of the Grinch, “How the Grinch Stole Christmas” is one of the saddest tales ever known. It makes me want to cry. It’s the tale of how a perfectly good monster lost his faith. 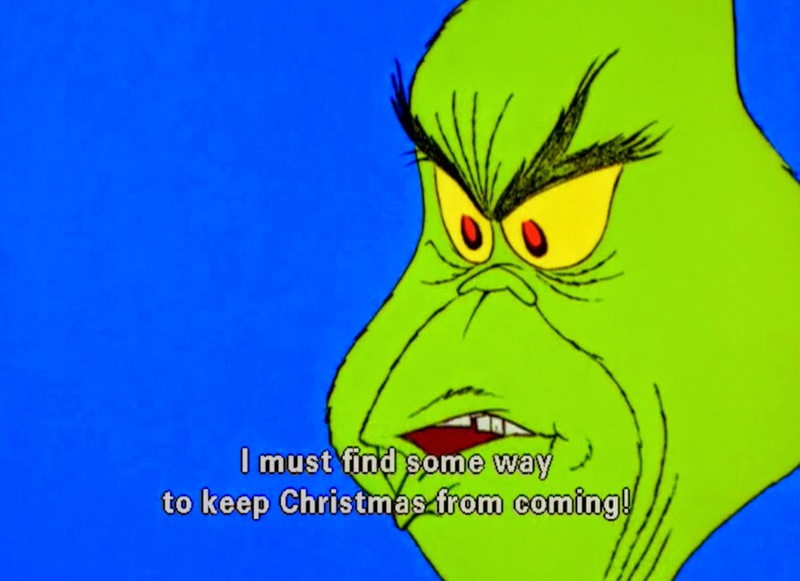 The Grinch had a delightful curmudgeonly misanthropic thing going but by the end, he’s become a sniveling, sentimental fool. How sad it that? In my alt.Grinch, he gobbles Cindy Lou Who for breakfast and then pillages Whoville. It’s the only sane way to cope with the Christmas season. Yep. I have issues—serious issues—with Christmas. First of all, it’s ahistorical. It’s 99:1 that Jesus was not born in December. (April is a better guess. The Bible tends to be circularly constructed, so odds are that Christmas and Easter are calendrically parallel.) Second, Christmas is a capitalist holiday, not a religious one. Actually, it’s become a communist one. Every time you go to Walmart, you are supporting its China, Inc. supply network, and everything you buy that says “Made in China” anywhere on the product, helps prop up the Reds of Beijing. About the only thing that amuses me in December is listening to conservatives defend the capitalist system, by which they mean the Red Chinese system. The same old crowd of phonies who’d pop a vein if they caught someone helping out Fidel Castro by smoking a Cuban cigar thinks that Wall Street and communism are antithetical. Hilarious! I know that some Christians claim they spend the Yule season contemplating the Virgin birth and the coming of the Savior. Sure you do. When I drive by the mall, all I see being worshiped is the god of materialism. What I see very little of in the US of A is the daily practice of any major religion. My students associate Christianity with intolerance, bigotry, and an attempt to deny choice to individuals. Are they wrong? And, sorry, I don’t believe that Islam is a religion of peace. Hinduism is often an excuse for sexism and appalling levels of classicist privilege. I like the focus of secular Judaism, but its religious varieties are often knee-jerk defenses of whatever the State of Israel is doing, just as Anti-Semites automatically attack Israel and defend Palestinian terrorism. I’d take down Buddhism as well, though my main experience with it is via the catch phrases tossed out by decidedly Western Yoganistas. (Okay, the Buddhist Tamils have some things to answer for.) My standard line these days is that I’m not anti-faith, I’m anti-organized religion. So add that to the list of why December is a thorn in my side as organized religions across the globe have hijacked it. Rohatsu (Buddhist) happens in December, as does Hanukkah. Sometimes Diwali (Hindu) and any of a number of Muslim holidays occur in December. (It depends on whether their lunar calendars coincide with the Western Gregorian calendar.) Back in 1965, we invented Kwanzaa, a sort of pan-African religious/family/heritage celebration because there just weren’t enough religious holidays already. And, of course, there is the granddaddy of them all: Retail Day—sorry—Christmas. I’d be happy to look the other way and merrily celebrate alternatives such as Moosemas and Festivus, but I can’t. Everywhere I turn it’s fa-la-la this and fa-la-la that. Neo-cons complain about the “War on Christmas,” but damned if I’ve noticed any massed troops seeking to overthrow it. Try not to hear Christmas carols this month. (Conveniently scheduling a one-month coma is the coward’s way out and doesn’t count.) Christmas season hurts my ears. Karaoke is the only thing that’s ever been done to music that is worse than Christmas music. “Jingle Bell Rock:” (a) doesn’t, (b) is as camp as a row of tents, and (c) makes me want to commit violence. Can it get any worse? Yes, I fear that it can. Bob Dylan made a holiday album. That alone is scarier than any slasher film you’ll ever see, but this year there’s a new collection of reggae ­and dub-step carols. I think my brain just melted! 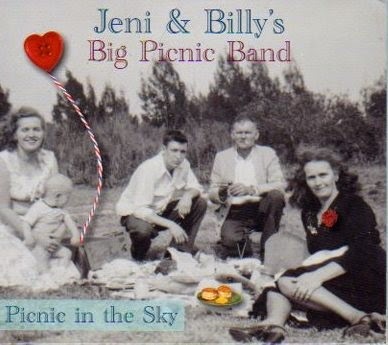 In the early days of the recording industry much of what we today call folk, country, and old-time music was called “hillbilly” music. That’s because the hills and hollows of Appalachia were a treasure trove raided by urbanized "song catchers" (academic collectors). Many of them mistakenly thought that all American folk songs and tunes were variants of British Isles imports. They soon learned that Appalachia was far more than music preserved in amber—the region also contained great original composers. And since those days, there have always been a number of women whose stars shined slightly brighter. In the (recorded) beginning there was Sarah (1898-1979) and Maybelle Carter (1909-1978) from Virginia. Slightly later those with recording machines came calling upon Kentuckians Aunt Molly Jackson (1880-1960) and her half sister Sarah Ogan Gunning (1910-1987). Still later we got Loretta Lynn (1932-) from Butcher Hollow, KY, June Carter (1929-2003) from Maces Spring, VA, and Jean Ritchie (1922-) from Viper, KY. So who are the heiresses to the Mountain Crown?